I have been looking at the EO® Products Dog Model contest for a few days now. They will be choosing five winning dogs to help promote their new line of natural and organic pet products. To enter pet owners must blog about the contest, fill out an entry form on the EO products website, like them on Facebook and upload a photo of your pet to their Facebook Page. In exchange for you efforts you may be selected to receive a full set of EO’s pet care products (value $27.95) and have their images used to help promote the pet care line on EO’s website, Facebook page, newsletter and possibly product labels. If you are selected, your work doesn’t stop there. Winners will be asked to send back a photo of their pet with EO’s shampoo for promotion on the EO website. They are also strongly encouraging you to send a video of your pet taking a bath using their products. I don’t think we will bet picked so I was wondering if it was even worth my effort. But our vanity finally overcame my laziness so I entered the contest. You’ll never know if you don’t try right? I decided to enter both dogs because 1) they are both cute and 2) might as well because I only need to write one blog post for the both of them to qualify (and that is the most labor-intensive part). 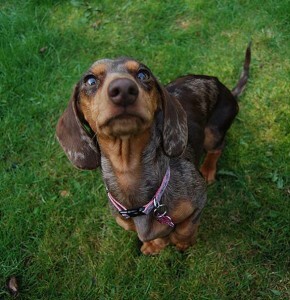 The photo above of Gretel is the one we entered for her. Below is the one we entered for Chester. If you want to enter the contest there is still time. You can enter through March 8th. You can find more contest details on the BlogPaws website. We are participating in the Saturday Pet Blog Hop again today. Unfortunately, we still can’t get the linky list to appear on our site. Please click the icon below to be taken to the blog hop list. Happy clicking. Contest looks like fun….ammo thinks he might need some new suds for bubble bath time too. 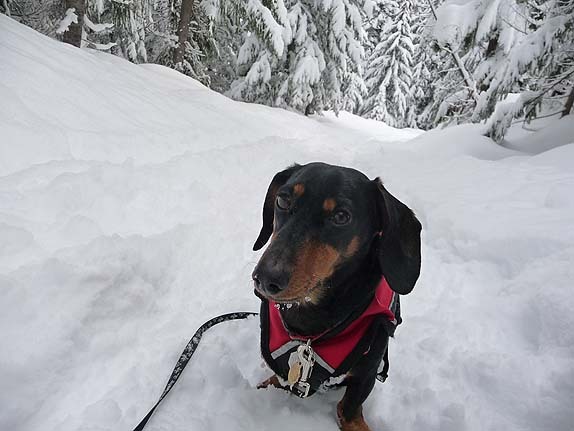 🙂 Maybe we can get doxies to overtake the contest. Weiner winners across the board! haha Good luck to Chester and Gretel! That would be cool if we could get all dachshunds 🙂 You still have time to enter. Ammo is a great looking pup. We entered that contest too! When will they pick the weiners… Uh I mean winners? The word I got was that they would announce the winner on March 15th. We can’t wait. Good luck. Fun! We saw this and were going to blog about it too…but I think we waited too long! Hope you had a good turnout for your walk today! The contest says you have until March 8th. You still go time. Thanks for stopping by to visit us. We secretely would really like to win 🙂 Not just for the products but so we can represent for weiner dogs!